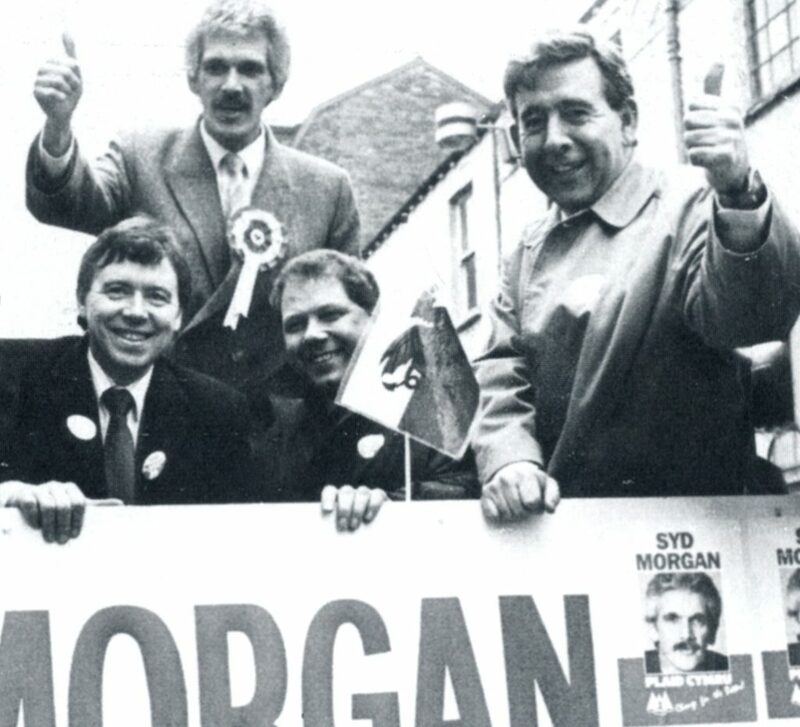 Syd Morgan has been closely involved in Plaid Cymru’s struggle for five decades – since the days he ran a nationalist magazine in Swansea University in the 1960s. He gave up a post in university administration to become a full-time organiser for the party in the Rhymney Valley – and one of the councillors who formed one of the first Plaid administrations in the South Wales valleys. You can hear more about his work for the national movement in this interview with Plaid History chairman Dafydd Williams here.